Visit our 40,000 square foot Milwaukee-area office furniture warehouse to experience the Podany’s difference in quality and value. 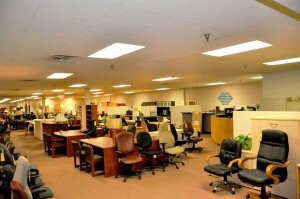 Our customers appreciate that our showroom is quiet, clean, and easy to find. 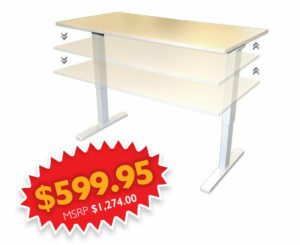 We invite you to drop by and browse our wide array of office desks, chairs, conference tables, and other furniture today! Our extensive in-stock inventory gives customers tons of ready-to-purchase options, while our knowledgeable staff provides expert, friendly solutions to a variety of unique needs. Whether you’re looking for a single computer desk or you’re about to invest in a new ergonomic office chair for each of your 200 employees, we have the office furniture choices Wisconsin businesses are looking for. AUGUST WAREHOUSE SALE: Take advantage of great deals – this month only!